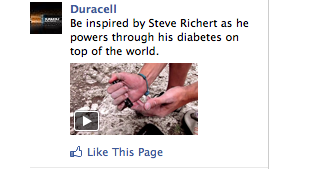 Spot on Ad Targeting, Facebook. SPOT….On! 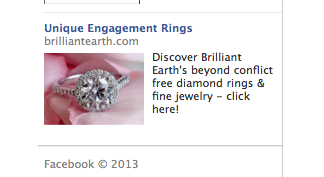 Because I am clearly in the market for an engagement ring…. Thanks for that additional reminder that I am hopelessly single, Facebook. Just what I need when I am already constantly being reminded about engagements, and weddings, and babies, and blah blah blahhhhhhh…..
AT least this ad is a tad more spot on for the average single lady…. This entry was posted in Sad Pics, Single Points of View and tagged Advertisement, advertising, Babies, Batteries, Duracell, Engagement Rings, facebook ads, lifestyle, marketing, sarcasm, single, Spot on, Weddings. Bookmark the permalink.